is a canadian producer for curling supplies. Asham always tries to improve their products and move the game to a higher and more perfect level. The man behind this buisness is Arnold Asham. For him curling is a passion. He plays with some of the best sportsman of the world and this since more than 50 years. Arnold Asham is the founder of the World Curling Players Association and a co-founder of the World Curling Tour. In addition he is also the founder of the Asham Stompers and the Stomper Festival. The year 1978 was the first step for the world-famous Asham Curling Company. In this year Arnold Asham designed the Red Brick Slider and started applying sliders to the soles of curling shoes. After the first success he turned his own basement into a production facility and in the year 1980 he took the next step and opened his own company: Asham. Only two years later he sold 15.000 shoes yearly. Now many years after the foundation of Asham the company is one of the biggest producers of curling equipment. Asham always has the curler in mind and so they are working hard to promote the curling game and the players all over the world. One of the newest Asham developments is the Xtreme Force Handle. He gives the sportsmen the possibility to use more sweeping power and this allows the curling stone to travel further and straighter. In addition the Xtreme Force Handle lowers the risk of injurys and gives the hands a safer and more comfortable position. Asham produces nearly every curling equipment like shoes, gloves, bags and curling brooms. 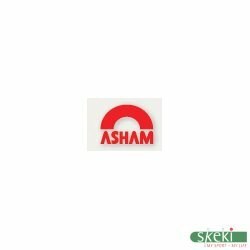 We offer a variety of Asham products. For the saison 2015/2016 we extend it.